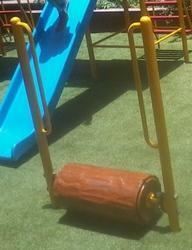 Leading Manufacturer of log roll and playground equipment from Mumbai. We compete effectively in today's global business environment by constantly delivering cost competitive and high quality Log Roll. We design this log roll at our own manufacturing unit under the observation of our experts by utilizing best grade basic material. The offered log roll is highly commended for its quality. Apart from this, the given range of log roll is provided with different stipulations & customization options at reasonable price. We rule the market by contributing a qualitative range of Playground Equipment. 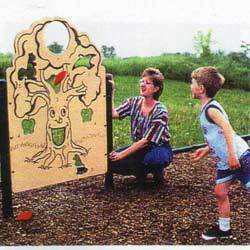 This laughing tree face panel is made with diverse specifications & quality assured material. The offered laughing tree face panel examined by our quality expert’s team in order to make certain its quality. Apart from this, we are giving this laughing tree face panel to our customers at affordable price.